Wishing the Fife Team all the very best at the East Division Inter-County Jamboree being held at Mortonhall Golf Club in Edinburgh from Sunday 26th-Tuesday 28th June. The Junior Summer Meeting was held at Lochgelly Golf Club on Sunday 19th June. 4 girls competed, on this fantastic course. Every hole is challenging, the greens well protected, fairways tree lined and still the girls recorded great scores. 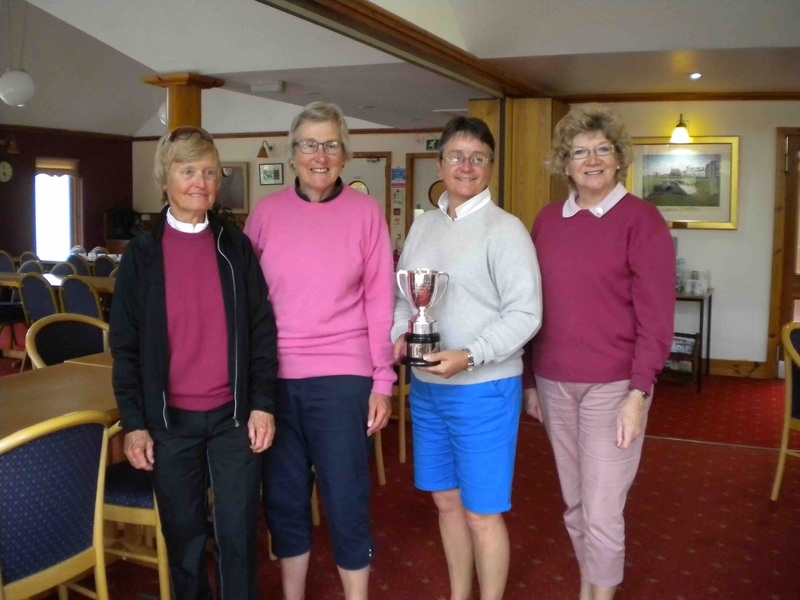 Hannah Braidwood returned a nett 67 to win the trophy. The other junior members were playing in club medals and championships and I hope they achieved some good results. Finally, the juniors and I congratulate Brogan for being selected to play in the Senior County Team when they compete in the Jamboree this month at Mortonhall. Go Team Fife. Thank you to Lochgelly Golf Club and the staff for your hospitality and for giving the girls courtesy of the course for their competition, it is much appreciated. Results from day 2 of Midland Vets Championship held at Crieff Golf Club - Mon 13th & Tues 14th June. Fife based players took all 4 places in this mornings (Tues 14th) semi-finals of the 2016 Championship played at Crieff in ever changing weather. The morning started in glorious sunshine which last for about 9 holes before intermittent showers arrived. Emma Wilson, Elie and Earlsferry Ladies and 2002 Champion, had a close game with Aileen Baker, Crail which resulted in a win for Emma at 17th. In the second semi Lorna McKinlay’s, Dunnikier Park, excellent putting proved too strong for Lorna Bennett, Ladybank, and won by 5&4. 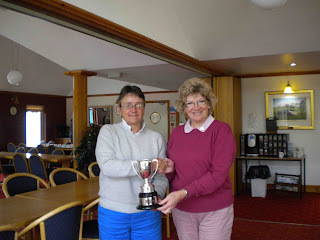 The final had to contend with increasingly heavy showers of rain and an easterly wind and Lorna got off to a flying start by winning the first 3 holes. Emma battled on didn’t quite manage to take the opportunities to pull back Lorna’s lead. The result was a 7 and 5 win for Lorna. Having entered the Vets last year, Lorna has had great success in being selected to play for Scottish Vets and Scotland’s senior team as well as reaching last year’s Midland Vets final, but has gone one step further in winning the Championship title this year and will go forward to represent Midlands in the Scottish Vets Championships at Blairgowrie in September. The Summer Meeting was played at Burntisland House Golf Club on Tuesday 7th June and 44 ladies enjoyed some good weather which was almost summer like. 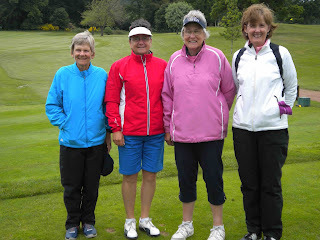 The course was in good condition which was reflected in the low scores but the par 3's did prove to be quite challenging for some of the ladies. The winner of the Madge Maitland Cup (lowest net score) was our Captain, Linda Dyball. Linda will be leading the Fife County Team at the Inter County Jamboree being played at Mortonhall Golf Club from Sunday 26 June to Tuesday 28 June. Linda and the team would welcome your support for this competition so why not get together for a day out and come along to cheer on our Fife Team. Our thanks go to Burntisland House Golf Club for hosting the Summer Meeting.